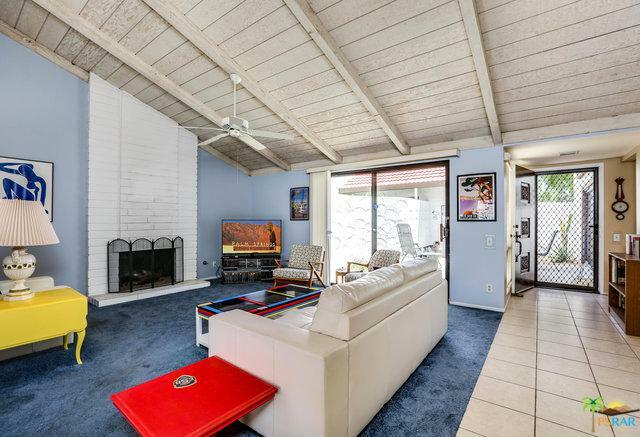 A very rare opportunity to own a 3 bedroom single detached bungalow in Canyon Sands south Palm Springs. 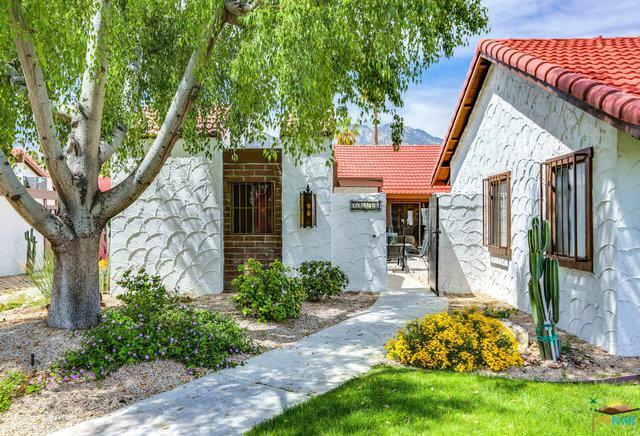 Here you can begin living the carefree desert lifestyle immediately without the hassles and maintenance of single detached home ownership. The immaculate home is offered turnkey furnished and boasts an impressive floor-to-ceiling gas fireplace, wood beamed cathedral ceiling, and two private patios. 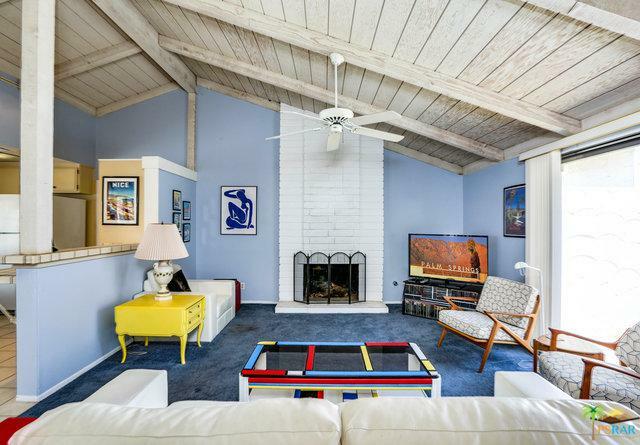 This cozy detached bungalow shares no common walls with adjacent homes. The attached 2 car garage offers plenty of storage. Located in the center of the complex away from traffic noise and near the community's many amenities. Canyon Sands offers 7 pools, 7 spas, six tennis courts now with pickleball. All in park-like setting. The complex is well-maintained; healthy reserves; converting to desert landscaping in certain areas and onsite management. Only minutes to PSP and downtown. Walk to Rim Rock shopping center. 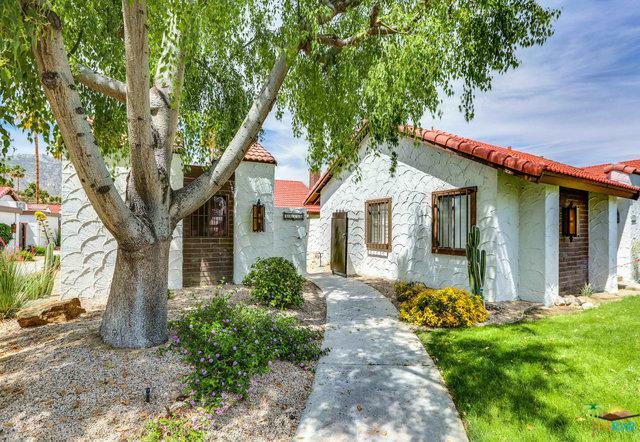 Perfect desert escape or a great investment opportunity. Priced to sell. Listing provided courtesy of Guy Prehn of Bennion Deville Homes.